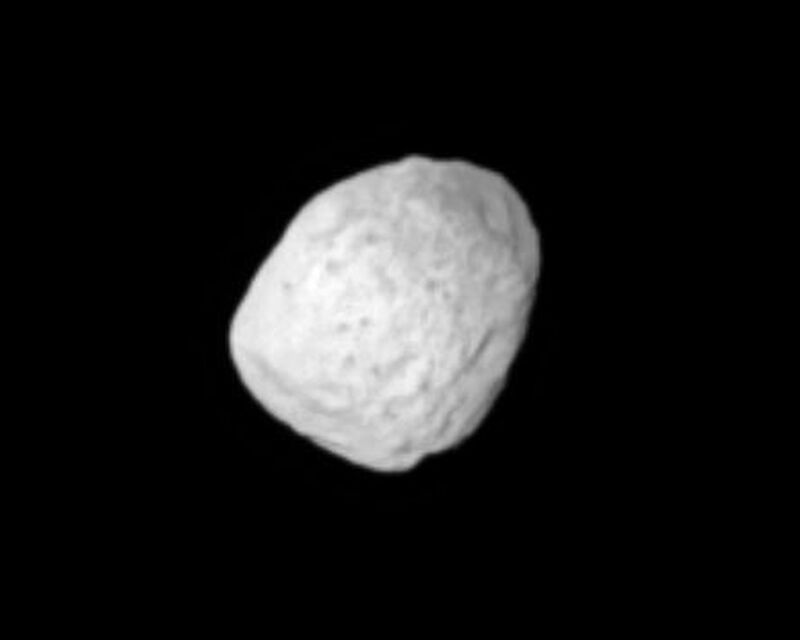 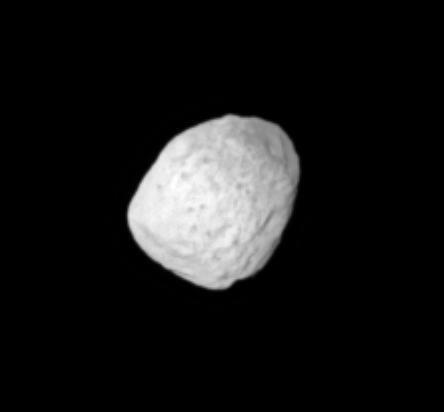 This image was taken in visible light with the Cassini spacecraft narrow-angle camera on May 20, 2005, at a distance of approximately 357,000 kilometers (222,000 miles) from Janus and at a Sun-Janus-spacecraft, or phase, angle of 6 degrees. Resolution in the original image was 2 kilometers (1 mile) per pixel. 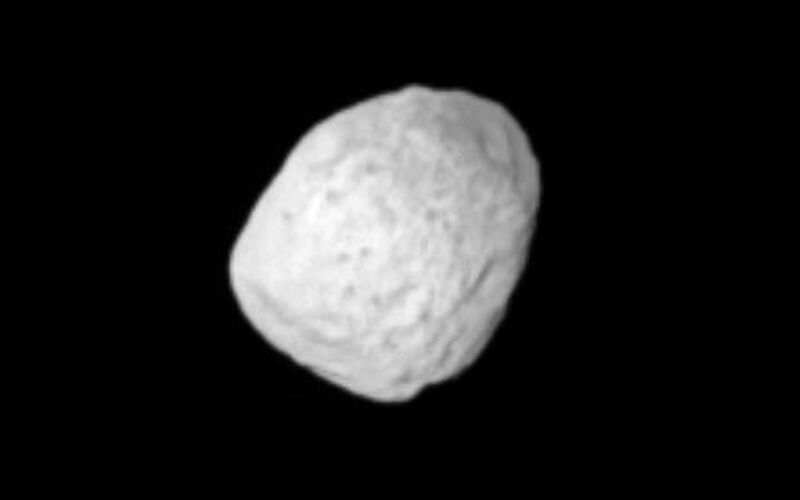 The view was magnified by a factor of two and contrast-enhanced to aid visibility of the moon's surface.